Let us paint a picture for you; say you are cooking a decadent delicious meal that in colours and layers full of love, and then you realise that isn’t the love for food the truest love there is anyway? That no man or woman could stand a chance in front of something hauntingly delicious. One that lets you soak up the goodness of the world, and ask for nothing but endless dollops of acceptance sans judgment. 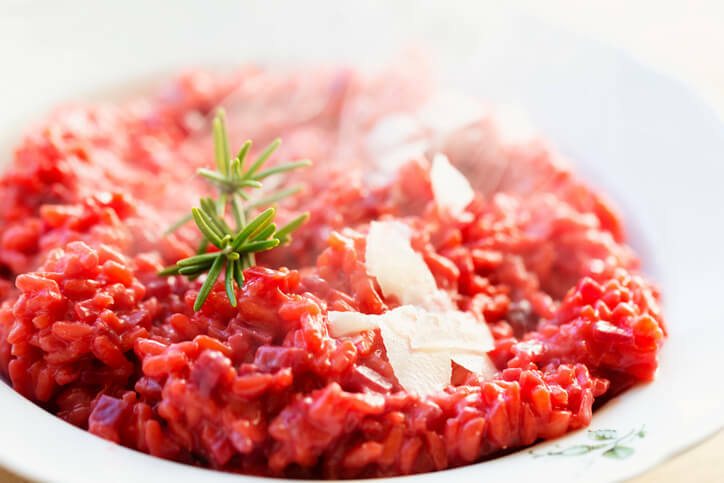 So here are the choicest of foods, especially red for your benefit, that are the best lovers you could ask for. We mean, this food is flawless. The layers of marinara sauce, and veggies, and cheese – oh the cheese. 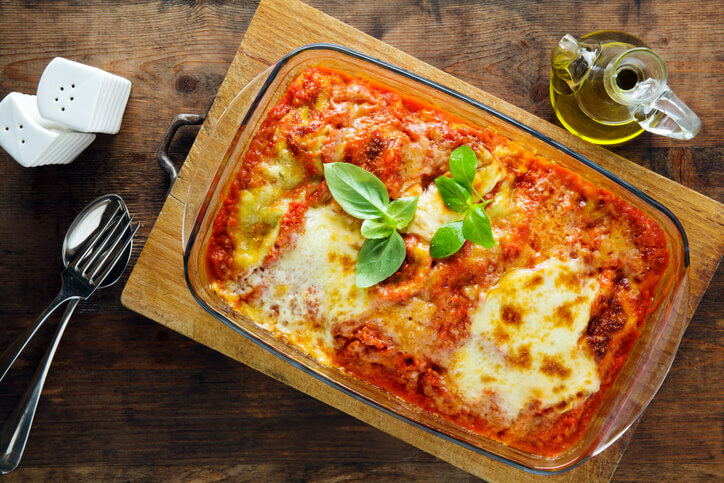 Lasagna is that indulgence that you must never resist. Its cheesy, its gorgeous to look at, and it tastes like heaven. 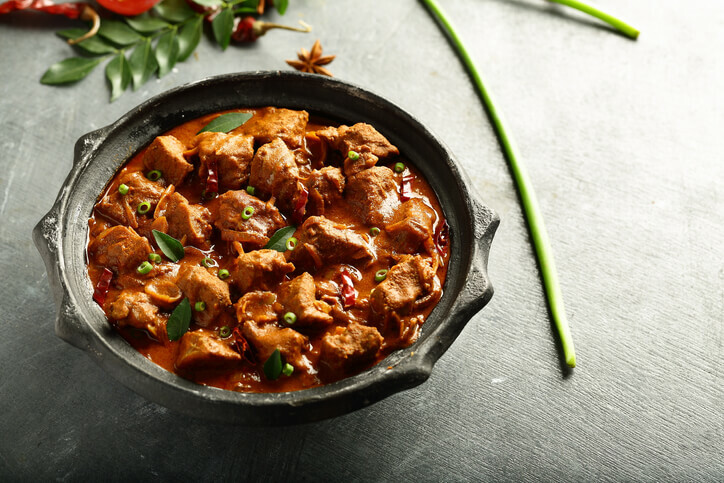 Coming in close to perfection is some juicy and meaty laal maas! This Rajasthani delicacy is so aromatic and lip-smacking that you will want to inhale the scent every single day! Because even healthy things when doused in beautiful crimson is a winner. 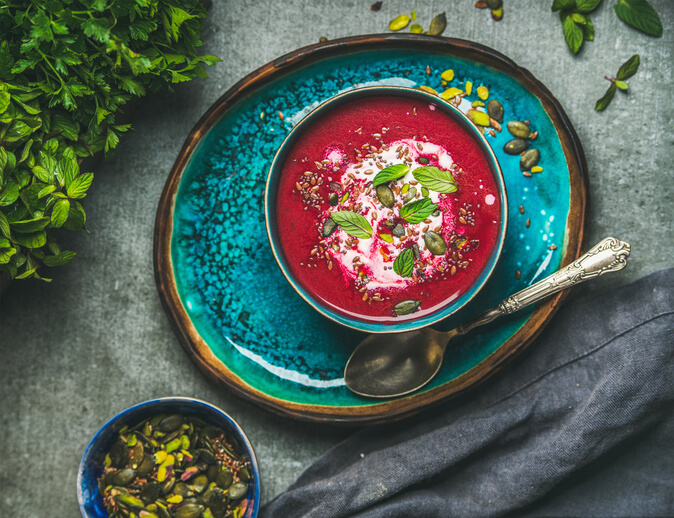 Some warm beetroot soup with your favourite buttered bread is so fulfilling, why not envelop yourself in the warmth of it? Crunchy, chewy, and cheesy – and you know us with all things cheese. 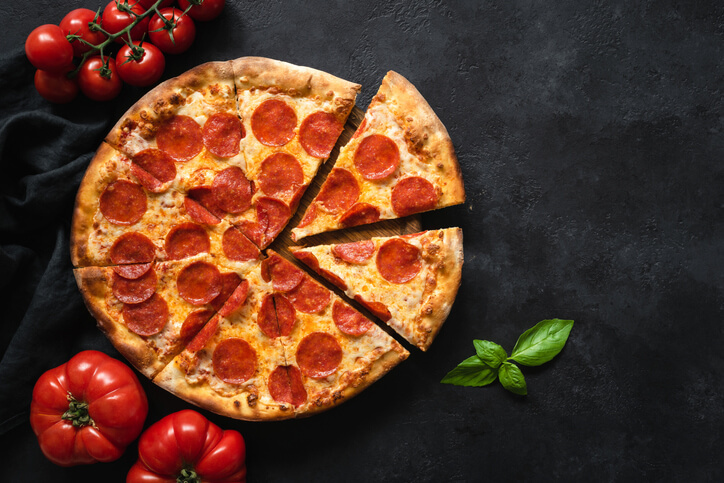 Pepperoni pizza is so unbridled and non-pretentious but still so terribly yum that we truly believe nothing this perfect could even exist! 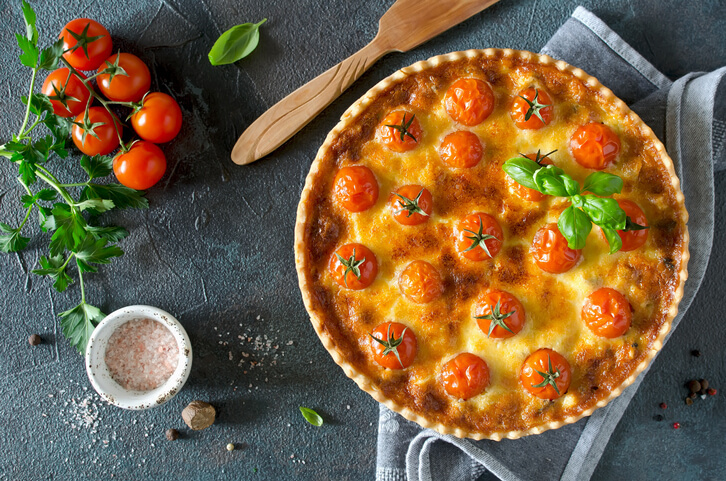 Cherry tomatoes are that one wonderful thing which are super delicious when eaten raw, and equally delish when cooked to perfection in our favourite dishes! Like a tart. It is gooey and herby and crunchy, so versatile and so good! Take a cue from the oldest kitchen hack we grew up with. Stuffed errrthing! Especially peppers. 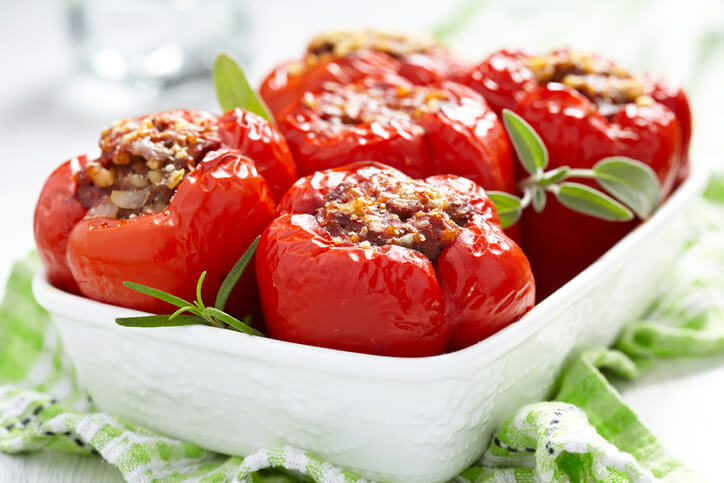 Some juicy peppers with some intense concoction of fillings, and you will realise that with just a little spice, your life can totally change! Oh the sweetest sin! 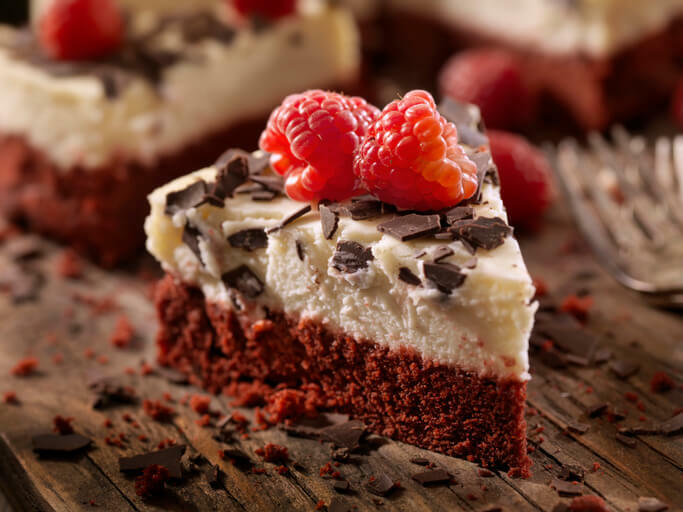 Layers of red and chocolate and white and subtly saccharine- red velvet cheesecake is the OG dessert of love and you can’t have only mouthful! 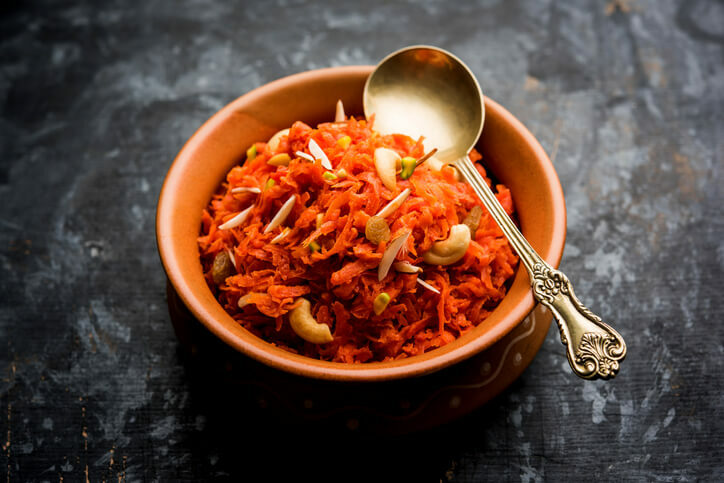 Unless you want something desi, and then only the glazy goodness of gajar halwa can suffice the need of our taste buds! 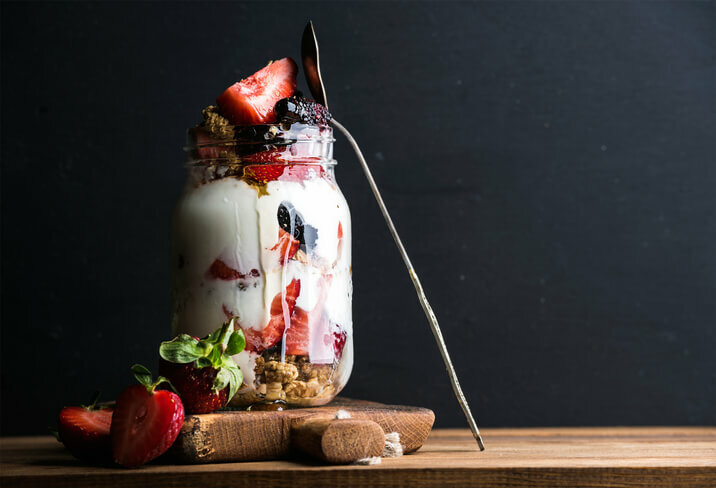 But if you want to be healthy, wealthy and wise – some granola, some strawberry, and some yoghurt will make sure you get your nutrition but under a cloak of some delectability!